Welcome to Pharr, TX. It is a city rich with bi-cultural diversity, beauty, and history. Pharr is within a short drive to the beaches of South Padre Island and only minutes from Mexico. 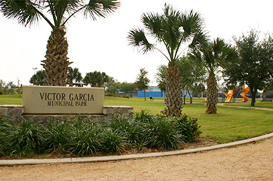 There are many golf course facilities and plenty of community parks. Just a few of Pharr’s annual events include The Mexican Artisan Expo, where over 150 direct manufacturers from various parts of Mexico are featured and the Pharr HUB Phestival which is an all day event featuring family activities, live bands, a cook off, historical displays and rides for children. Learn more about what Pharr has to offer!